Focal Segmental Glomerulosclerosis associated with Hepatitis B virus infection: Report of two cases and review of literature” (Journal, Clinical & Experimental Nephrology) March 2009. “Visual evoked responses in Neurotuberculosis”A.K. Thakkar, SC Jaiswal, B.K Upadhyay, A. Kankane. Annuals of Indian Academy of Neurology, 2002, Vol 5, 153-157. Suffering from any physical distress, or watching a loved one suffer is no longer needed. If you have any health issues, you should head straight here. 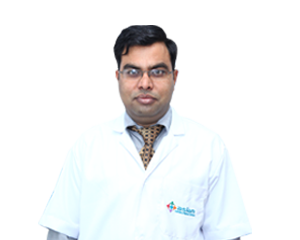 Not only is Asian Institute of Medical Sciences (AIMS) the best hospital in Faridabad; you can safely entrust us with your own — or that of a loved one — complete health care. We bring you futuristic 425-bed multi- speciality health care with state-of-the-art equipment to restore you back to robust health. The advances of medical science, and our 14 centers of excellence have ensured that now we are able to identify tricky ailments faster, and offer more comprehensive treatment. Whatever be your requirement — preventive, diagnostic, therapeutic, rehabilitative, palliative, or supportive services — we can provide you with it. To set your mind at ease, we have acquired NABH and NABL accreditations which ensure a high level of health care. Our patient centric approach will reassure you that you won’t find a better hospital close by, or even not so nearby. What’s more we are easily accessible from the New Delhi airport, the Delhi railway station, and the Inter State Bus Terminus in Sarai Kale Khan, in Anand Vihar, and in Kashmiri Gate. Among the deadliest illnesses that humans must battle today, cancer probably tops the list, given its reach, and categories. It attacks almost all your vital organs, and doesn’t discriminate between the sexes or classes. Many families are at serious risk of getting cancer due to hereditary factors. However, don’t lose hope as AIMS is the best cancer hospital in India offering end-to-end services for cancer patients. Prevention and early detection are vital in cancer treatment. Nowadays it is possible for patients to survive cancer if it is detected in the first stages, especially in cases of breast cancer. To that end, we have several high-end equipment such as PET/CT, dual head Gamma camera, and HDR brachy-therapy to support early identification, and offer curative and palliative care. We were the first hospital in north India to deploy the Varian’s Rapid Arc on a Trilogy system. So, if you or a loved one is at risk, come to us for consultations for preliminary screenings, and guidance on measures to adopt to prevent as far as possible the onset of cancer. Exposure to various harmful chemicals, lifestyle issues, and diseases like diabetes can severely damage the kidneys. There is also a tendency to overlook or ignore signs of urinary tract infection (UTI), which can damage kidney function over time if it is left untreated. Now, you don’t need to run from pillar to post to ensure the best kidney transplant in India at the Asian Centre for Urology and Kidney Transplant. You’ll get it right here at AIMS. So, whether a patient requires a kidney transplant as part of treatment for kidney failure, or as an extension of treatment for bladder cancer or some other cancer in the urological system; we assure the most caring interventions and nursing. Our surgeons maintain high professional ethical standards, while staying abreast with the latest in medical science.